What Makes Stainless Steel Railings An Ideal Choice For Residential Dwellings? Looking back in the past, we could find either wooden railings or iron railings in homes; iron railings have now gone outmoded, though. Wooden railings were and are yet one of the most preferred staircase railings these days. However, the advent of stainless steel railings lately has impacted the sales of wooden railings and they have quite much become a necessary part of modern house construction in Pakistan. Seeing this modern trend of stainless steel railings, a lot of homeowners these days are confused, whether or not the steel railings are a good choice. 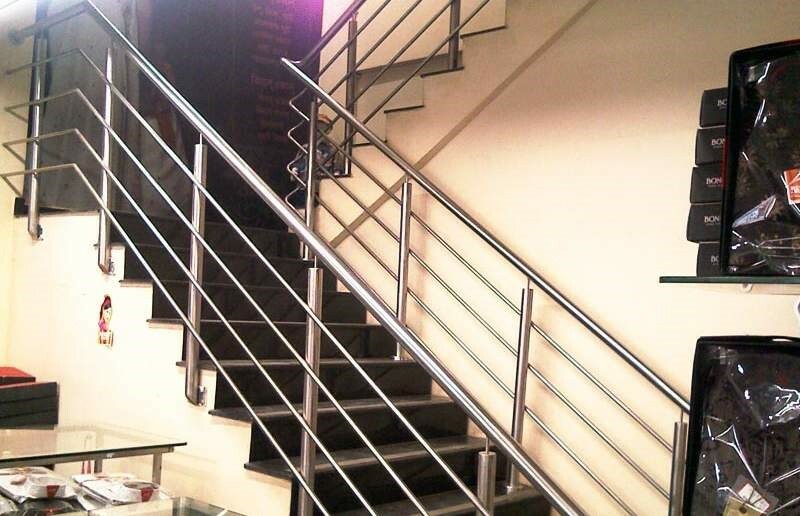 The stainless steel railings are not only installed in the staircases but are also used in balconies and terraces of homes across Pakistan. Below are a few reasons which explain what makes stainless steel an ideal choice for your abode. Whether we talk about the balcony railings or staircase railings made of stainless steel, they are protected against all kinds of harms including bacteria, dust, water seepage, humidity, etc. On the contrary, the wooden railings require a great deal of maintenance. They need to be polished regularly and are prone to attacks from pests. Stainless steel, on the other hand, railing can be kept neat and clean simply by wiping it regularly them with a clean cloth. Most people are of the misconception that the stainless steel railings are very costly. In actual fact, they cost less than the wooden railings. The stainless steel railings are made out of materials that are widely available. This is the reason that end product is less costly than one manufacturers require to carve and shape other articles. The stainless steel railings are a lot easier to install as compared to the wooden ones. The whole unit of stainless steel railings is assembled on site and nothing needs to be built on the site of installation. This not only takes less time for their installation but also lowers the cost. Also, wooden railings require more care during their transportation as the wood can break if not handled carefully. Most of all, the stainless steel railings are in accordance with the contemporary home designs and add to your home’s elevation as well as the interior. Since we all want our homes to look and feel great, we should make sure we opt for railings that best define our aesthetics. For people who are more inclined towards the wood, the wooden railings are a great choice and can set their moods right.